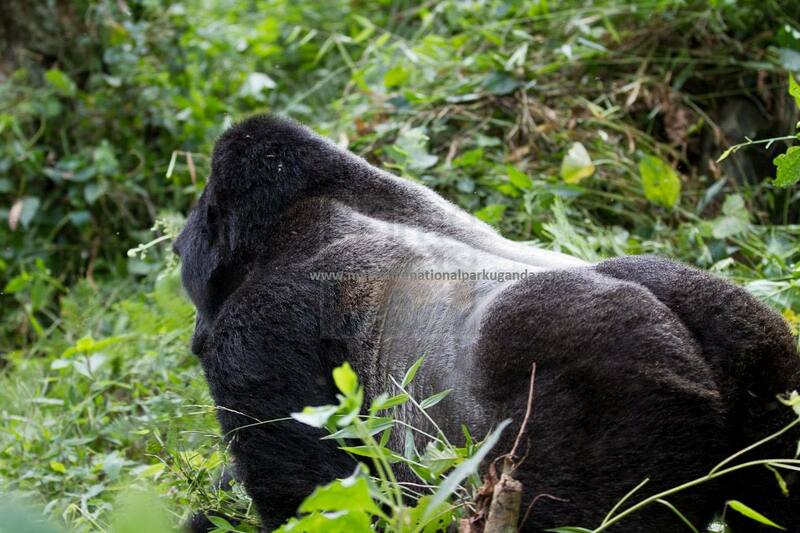 The 11 days gorilla trekking safari Uganda Rwanda chimpanzee tracking tour start in Rwanda and ends in Uganda. 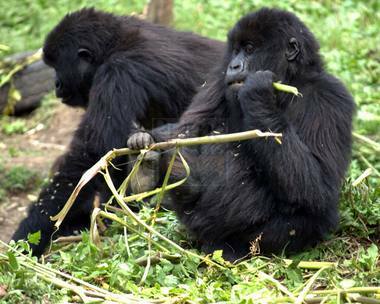 It is a comprehensive primate safari allowing you to explore the big primates in Rwanda and Uganda. 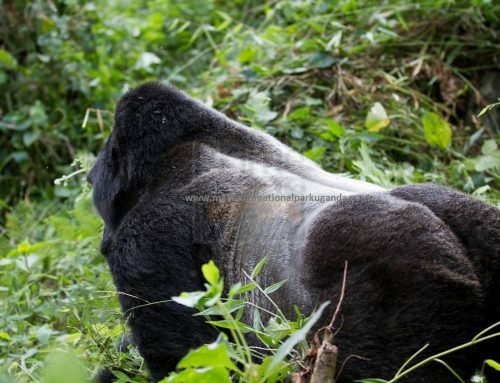 The 11 days gorilla trekking safari Uganda Rwanda chimpanzee tracking tour, 11 days Uganda Rwanda wildlife safaris, Uganda primate tour takes you through the heritage sites of Butare, the chimpanzees or black and white colobus monkeys of Nyungwe, the Nyungwe canopy walk, the gorilla trekking in Volcanoes National Park, golden monkeys in Mgahinga, recreational boat encounter on Lake Bunyonyi, second gorilla trekking in Bwindi, chimpanzee trekking in Queen Elizabeth NP and Kibale and wild life viewing including the four of the Big five in Queen Elizabeth NP. After breakfast, embark on the transfer to Nyungwe Forest National Park 268km about 6 hours’ drive from Kigali excluding stops en route. 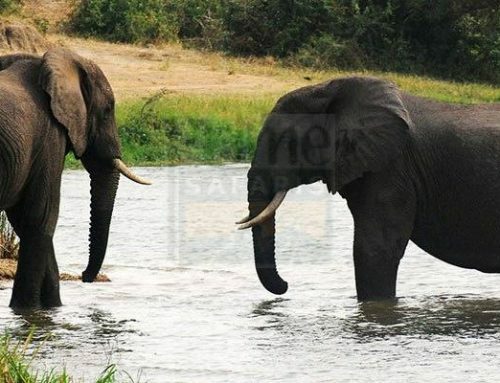 You will drive through the country side lush landscapes of Rwanda with rolling hills before approaching Butare where you will undertake a tour of the Rwanda’s National Museum – the ethnographic museum which has got over 100,000 artifacts and considered to among the largest museums in East Africa. The stop will also extend you to visit the Nyanza Palace where the former monarchical kings of Rwanda used to stay. The two Kings Rudahigwa and Musinga stayed at the palace. It boasts of impressive huts with traditional architecture, Inyambo cows and the history behind it. Have lunch in Butare and continue to Nyungwe Forest arriving in the evening for relaxation, dinner and overnight. After breakfast embark on the chimpanzee trekking encounter in the forest of Nyungwe starting at 8am. The encounter will bring you closer to the common Chimpanzees which boast of being our closest cousins along with the bonobos. The Chimp trek tend to last 2 – 5 hours with one hour of direct encounter with them as the socialize, make impressive pant hooting calls , gather fruit, roll themselves in trees among other interesting features. The trek for the chimps also exposes you to remarkable Nyungwe Mountain Forest Flora, counts of birds and other primate species. Alternatively, instead of trekking Chimpanzees, you can opt for Colobus Monkey tracking. Nyungwe Forest National Park boasts of the largest grouping of colobus moneys in the whole of Africa. Thus, undertaking a black and white colobus monkey trek is one of the remarkable encounters that you can have on this safari. It starts at 8am and you traverse the lush forest with remarkable flora and sights of birds may not be missed before encountering these unique and beautifully created monkeys. 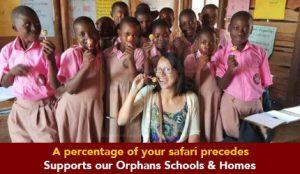 The 1 hour is availed to you to have a direct encounter with them and the entire trek lasts between 2 – 5 hours. 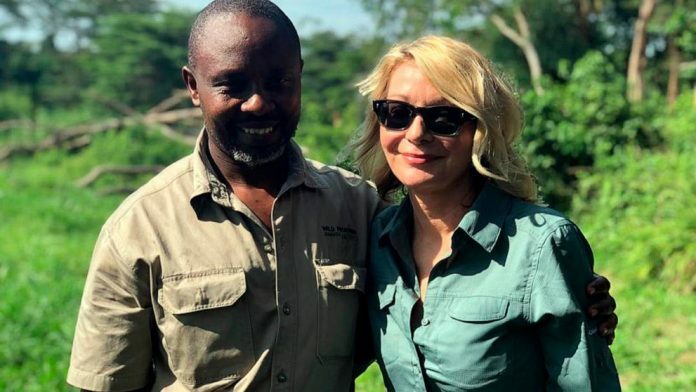 Retreat from either of the activity, transfer back to lodge for lunch after which you will gather at Uwinka Visitor Center to undertake the famous Nyungwe Canopy walk which is the first of its Kind in East Africa and the third in Africa offers you remarkable views of the forest an primates. Retire for relaxation, dinner and overnight. 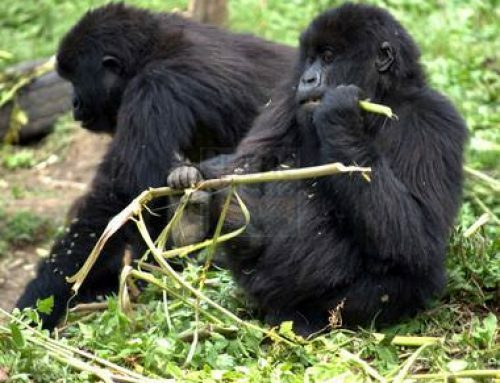 After breakfast, embark on the transfer to Volcanoes National Park in the North East of Rwanda driving along the Congo Nile divide with impressive scenic views of Lake Kivu and the surroundings. The drive is 338km about 9 hours’ drive passing through the lush country side. You will arrive in Volcanoes in the late afternoon for relaxation for relaxation, dinner and overnight.